Hannah Taylor was five years-old when her and her mother drove passed a man eating out of a garbage can in Winnipeg, Canada. Puzzled, Hannah asked her mother why he would do this. She introduced Hannah to the dire reality of homelessness. For the rest of the year, the story of the man troubled Hannah and prompted her to ask her parents questions about homelessness, until one day her mother encouraged her to take action, as a solution to her inquietude. 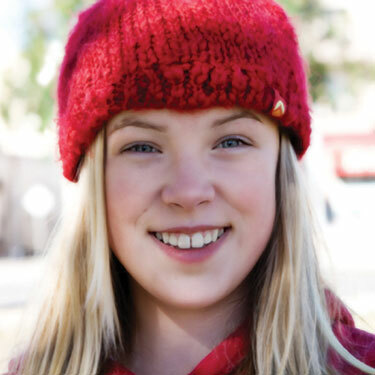 At 8 years-old, Hannah established the Ladybug Foundation Inc., an organization that currently assists over 50 Canadian charities, which provide shelter, food and other basic provisions for the homeless, hungry and poor. Hannah also strives to raise awareness about homelessness and has spoken at over 175 schools and to audiences as large as 16,000. She constantly reminds people that food and shelter are basic human rights and everyone must do their share to help those in need. Hannah has also discussed the issue of homelessness with top officials, such as the past Canadian Prime Minister Paul Martin and current Prime Minister Stephen Harper, CEOs and the Presidents of Corporations, musicians and actors. The young Canadian launched another organization, called the Ladybug Foundation Education Program Inc., where she created the “makeChange,” a multimedia resource for teachers to empower young people to become involved and make a change in their community and in the world. MakeChange educates students on existing social problems and encourages student engagement through asking questions and taking action. Hannah has also published an illustrated children’s story, called Ruby’s Hope, which inspires readers to make a change regardless of their age. In recognition of her hard work for the homeless, an emergency shelter in Winnipeg was named Hannah’s Place. In 2007, Hannah received the prestigious BRICK Award in the Community Building category. Check out Hannah’s Ladybug Foundation at The Ladybug Foundation Website.